I think a bucket list is a great idea!! I am inspired to create one for the HHL home... going to a pumpkin patch with our God children will definitely be on it!! Looks like a fabulous time with your friends... your photos are great! 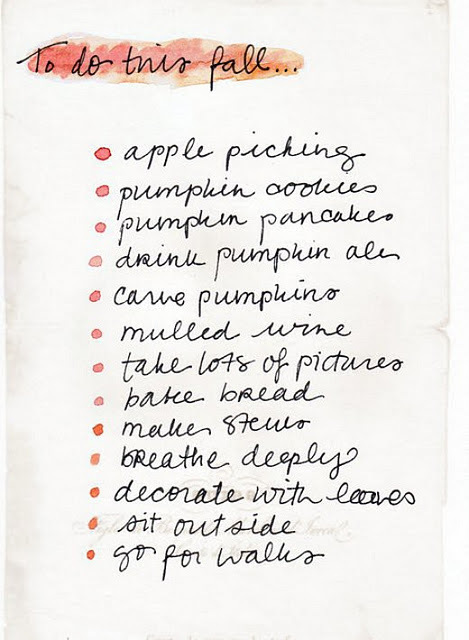 I think a fall bucket list is a great idea! Maybe when I go visit mark next week we can make a mini bucket list to do that weekend! Great pictures! I would love a Fall bucket list- if only VA would cooperate and the weather would feel like fall! It's either rainy and chilly or hot and sunny! I think I have sunburn on my nose! I really need to go hiking though- gorgeous views and exercise too! 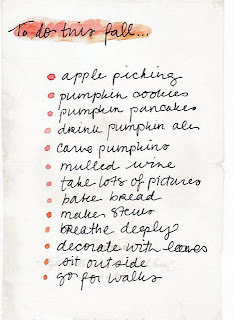 I want a fall bucket list! Love it and love your photos of Montreat! I need a fall bucket list for my kids, but we're hitting some of the highlights. I love Montreat! My Sorority had our Fall Mountain Retreat there a few years ago and I fell in love. So pretty with all the changing leaves and the beautiful lake. Just found your blog, so glad I did! I really want to go apple picking. I have been trying to go to a few years now and just haven't been able to work it out. I love your list. I want to do all of that as well! :) Now following your blog. I have heard great things about TFA and one of my dear friends actually did it when we graduated in 2009. Check out her blog http://wayfarersandworksheets.blogspot.com/ and I bet she'd love to talk to you if you have any questions. Good luck and I will keep my fingers crossed for you! Gorgeous photos! I have to say that I didn't blog very much when I was student teaching either - I just didn't have time!